Examines the kinds of international reforms have been implemented to date and patterns of international regulatory change. Provides an analysis of change across a number of financial sectors, including the regulation of hedge funds, derivatives, credit rating agencies, accounting, and banks. Offers an explanation of contemporary regulatory developments with reference to inter-state power dynamics, domestic politics, transgovernmental networks, and/or transnational non-state forces. 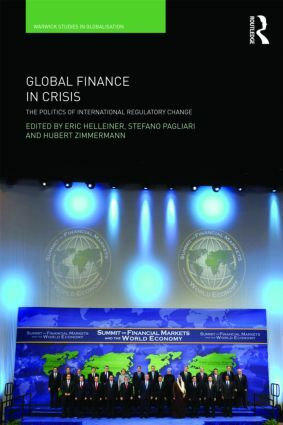 Providing the first systematic analysis of the international regulatory response to the current global financial crisis, this ground-breaking volume is vital reading for students and scholars of international political economy, international relations, global governance, finance and economics. Is a European approach to ﬁnancial regulation emerging from the crisis? Chinese attitudes towards global ﬁnancial regulatory co-operation: revisionist or status quo? Conclusion – whither global ﬁnancial regulation?